Have Online Giving? Great - Now Ask People to Use it! Online giving is slowly catching on among churches, and that’s a good thing (FaithStreet is certainly happy about it). Having it is one thing, but we hear all the time from churches that it seems slow to catch on. Fortunately, that’s a problem with an easy solution – you just have to tell people to use it. Anyone with a background in sales or fundraising knows that the last (and most crucial) step in the process is, one way or another, asking your customer for their money. 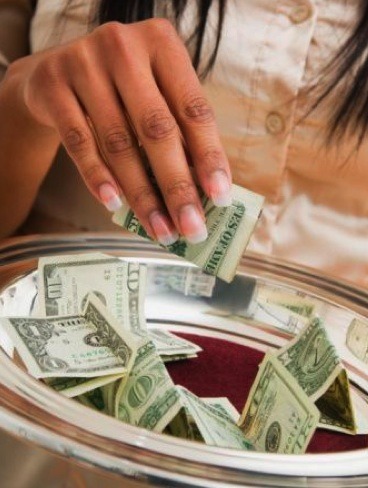 Churches are undeniably timid about this – unless they’re asking for donations for a certain, discrete cause, most pastors are content to do the offering plate do the talking. That may have worked when physical gifts were the only option, but it won’t do the job nowadays. Is it uncomfortable to ask people to do something specific, especially when it comes to money? Of course it is, that’s why not everyone is cut out for a career in sales or fundraising. Unfortunately, as a church leader, it’s part of your job to spur your flock into supporting their church. The good news is, it’s not as hard as it sounds. Consider how much your community members already look to you for direction – spiritually, emotionally, morally etc. Given the weight of those issues, is gently expressing a preference in payment methods (of all things) really a tall ask? Hardly. After all, you’re nudging them towards a transaction method that not only increases giving for your church, but makes their financial lives exponentially easier as well. When it comes time for collections at your next service, consider saying something simple, like “As the plate makes its way around, please keep in mind that online giving is our preferred option.” Use your own words, of course, but you get the idea. All you need to do is remind them that 1) online giving is an option, and 2) it’s the *preferred *option. You’ll be surprised at how readily your church will respond, we promise. Don’t have online giving yet? Make it happen here. It’s easier than you think. Feeling Burnt Out? Why not Focus on Growth?